That wishes it was the new BMW M3, doesn’t it? The Thanos-sized chin encircling bigger air intakes, two exhaust pipes, and 18-inch wheels. The ones in the pictures are handsome, eh? So I pay to tick the M Sport box and everyone else gets to enjoy looking at my car? You’re right to. 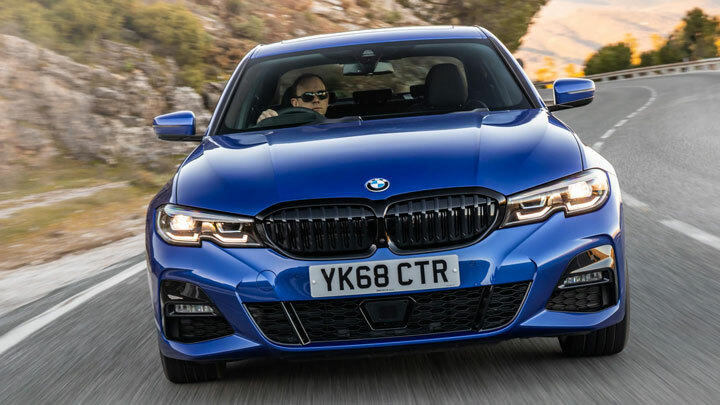 We’ve found the new 3-Series to be a tad firm already, but (there it is) when you lob big wheels at it, even with BMW’s cleverest suspension, it’s choppy and clattery. Surface sensitive too, with rougher roads making a palpable difference to how much din enters the cabin. Mind you, that’s only worthy of comment because the new 3 is so placid the rest of the time. 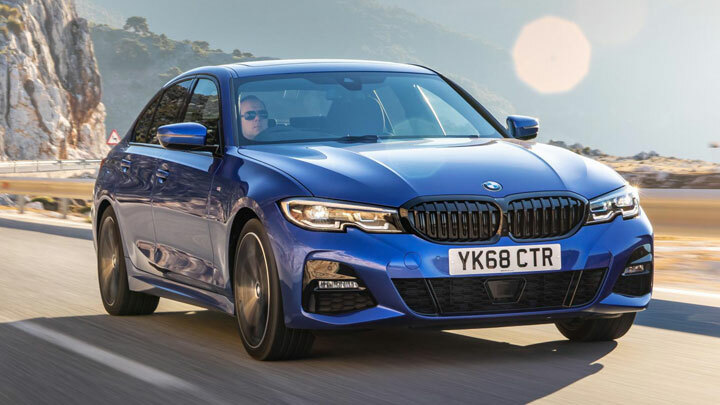 BMW had lots of work to do to make its new junior exec chariot as eerily quiet inside as the Audi A4, and the results are pretty spectacular. Wind noise doesn’t really exist, on a decent stretch of motorway tire roar is hushed, and the powertrain refinement is a revelation. 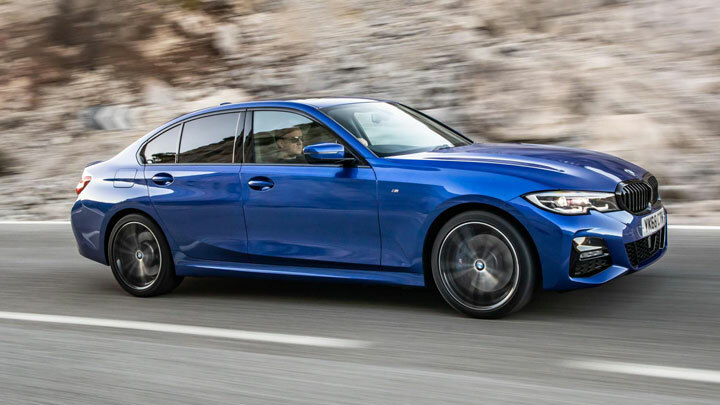 This new 320d’s 2.0-liter turbodiesel is so much smoother and quieter than the old one. It has a real mini-limo ambience to it. So it’s a 3 that reckons it’s a 7-Series? The chairs are a touch narrow but comfortably seat you in a brilliant driving position. The digital instrument cluster is a bit of a disaster, to be honest. The backwards rev counter, illegible speedo, and mush of satnav map and general driving data all arguing over your attention span and getting in each other’s way. 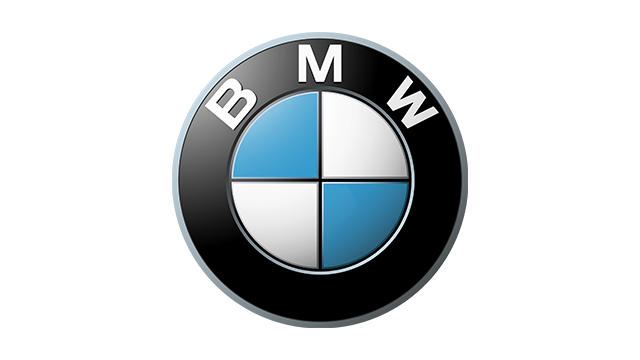 Audi, BMW and Jaguar all do it much better. And while we’re oozing along the expressway, in the 320d’s natural habitat, enjoying the simple joy of a 966km range and economy that Will. Not. Dare. Drop below 19km/L, here’s another thing to fiddle with. 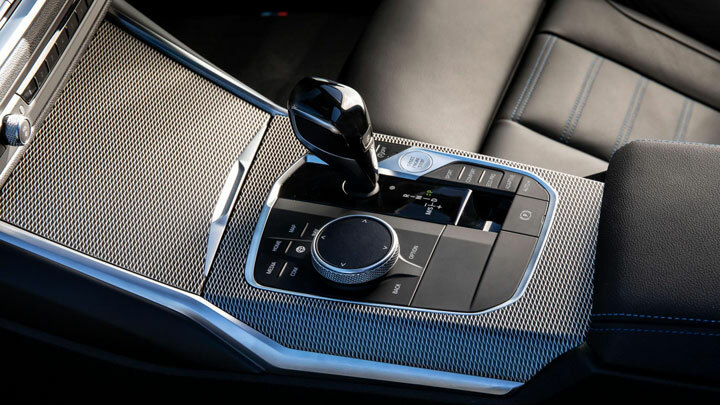 iDrive: 2019 Edition. Oh dear. Once you’ve switched off the patronizing alerts begging you to use the haphazard gesture control, and wiped away the greasy fingerprints from exploratory prods to the pointless touchscreen functionality, your hand naturally finds the iDrive clickwheel again. Ahh, bliss. It’s solid and expensive-feeling and very easy to use. Brilliance. 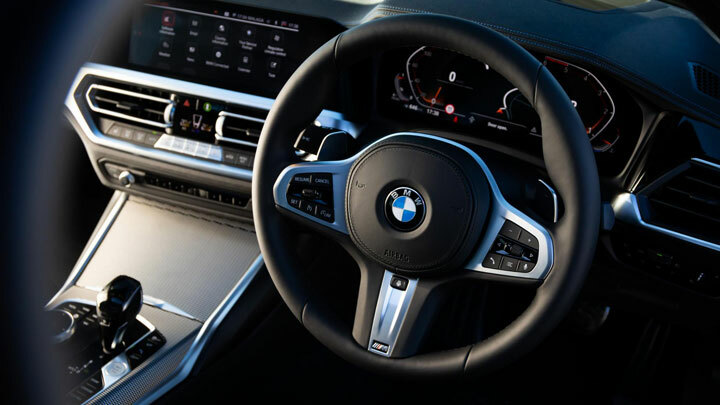 So why, BMW, have you made all the shortcut buttons around in flush and smooth, so it’s really tricky to work out which menu is about to be prodded? Doh. Indeed. However, BMW hasn’t left the handling with the playgroup. They’ve got the folks who set up the 5-Series to do it. So it’s pretty great. All the horrid gloopy sticktion from the old 3’s steering is gone, so now it pours itself into corners as you if you’re operating finely-tooled machinery. Course, in a 320d you’ve not got loads of power to play with: You’re talking 187hp and 400Nm. As usual for a modestly sized diesel, it does healthy numbers (6.8sec to 100kph with the sublime eight-speed auto doing its thing is Golf GTI pace) but it never feels as pacey as that sounds. All told, we’d still ditch xDrive four-wheel drive and save cash. All adding AWD to a car of this power does is make it a nuisance on days when the weather goes a bit North of The Wall and the police advise you ‘not to travel unless totally necessary’, by giving you false confidence. 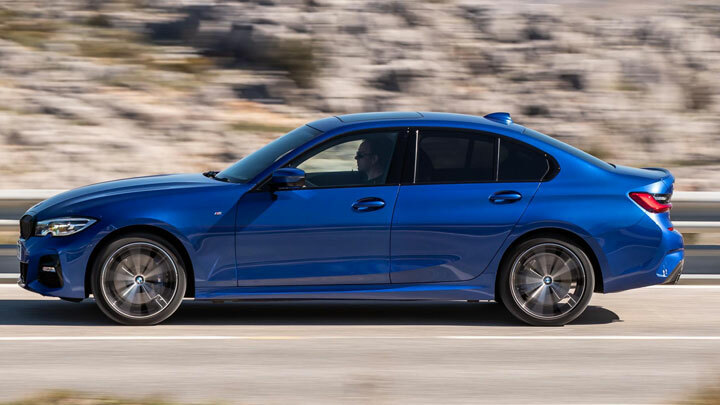 Your four-wheel drive 320d might have better traction than a rear-drive 320d, but it’ll corner and slow down no better. It’s still a smart-handling car—it has the measure of a Jaguar XE and is leagues more composed than the A4 or C-Class—but a rear-drive one will make it shine even brighter, if that matters to you. Sales are rebounding in Germany, but in Britain diesel is looking pretty wasted at this point. 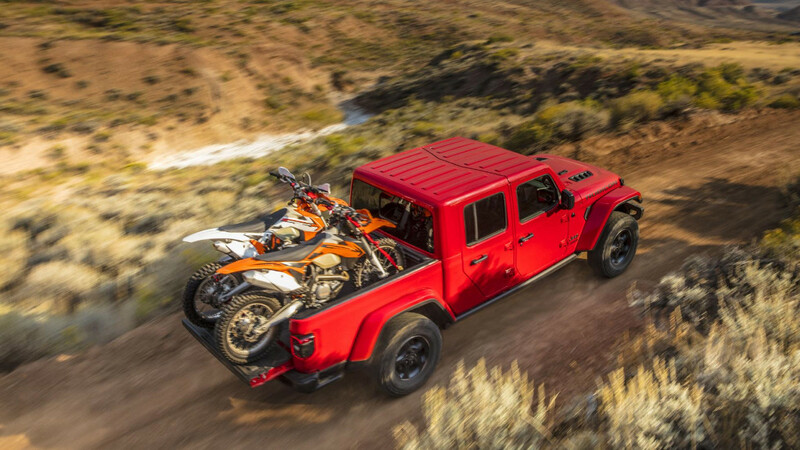 In the first quarter of 2019, sales slumped by another 20% versus last year, when they were hardly booming. Meanwhile, hybrid and EV sales continue their steady creep up, by 14% since 1st January. So, maybe you’ll have the 330e hybrid instead. It’s coming soon, with over 56km of electric range, and a tax bill lower than Al Capone’s. Great, but you’ll need to plug it in every day, or it’ll do 30-nothing to the gallon. And even if you can charge overnight, there’s no way the range will be as effortlessly intercontinental as the 320d’s. 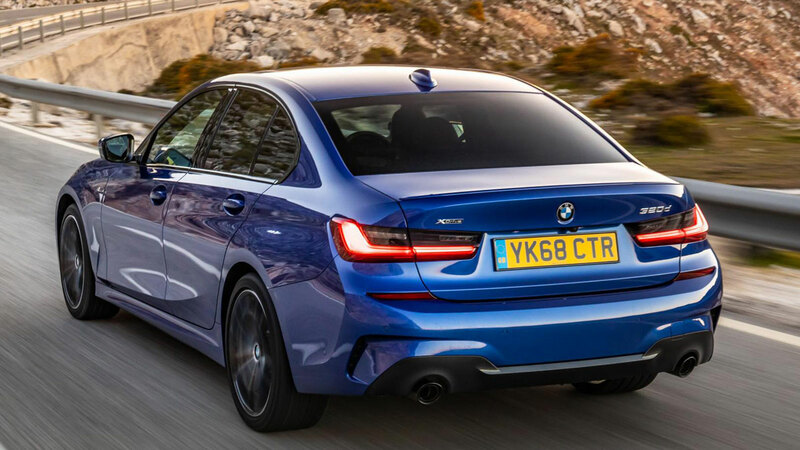 If this is diesel’s last hurrah, spending a day with a 320d only serves to prove what a brilliant invention the modern diesel can be, when it’s deployed in the right car. 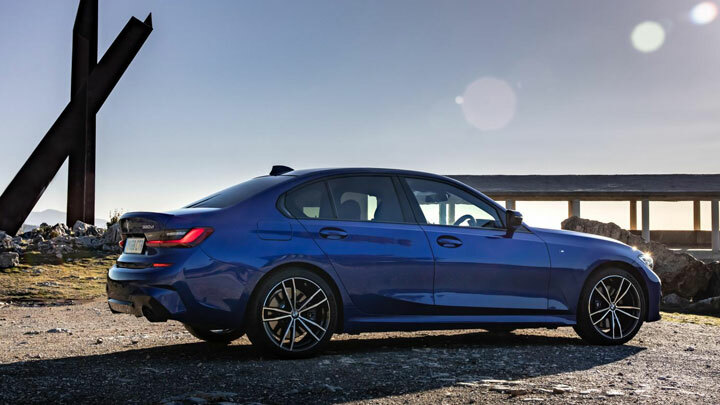 The 3-Series is the perfect car, in that respect. Go easy on the options inside and you’ll end up with a version that’s less tricky to operate too. The 320d isn’t perfect, but it’s brilliant on the whole—a big step on from the old car. A super sedan car. Just as well, when you’re pretending you’ve got a super-sedan on the outside.